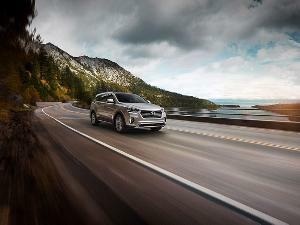 As crossovers continue to rob market share from sedans, they typically face three main headwinds. Sedans tend to be less expensive, more fuel-efficient, and nicer to drive than comparably sized crossovers. 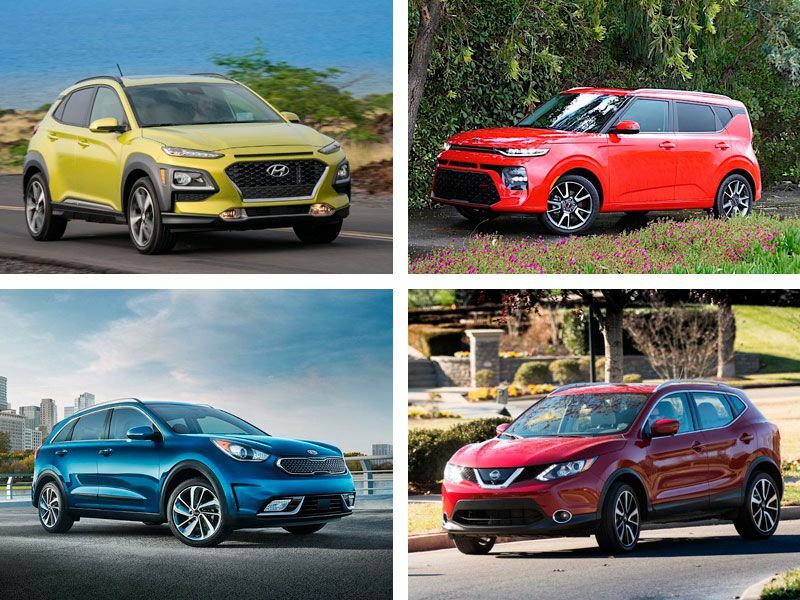 It's rare for a crossover to match or beat a sedan on all three fronts. But the 2019 Nissan Kicks comes impressively close. The subcompact Kicks offers generous standard equipment at the exceptional base price of $18,540, just $60 more than the equivalent Nissan Sentra sedan. The Kicks achieves an EPA-estimated 33 miles per gallon in mixed driving, beating the Sentra’s 32 mpg. And the Kicks delivers a pleasant driving experience, particularly in crowded city streets, where drivers can best appreciate its agile handling and petite dimensions. 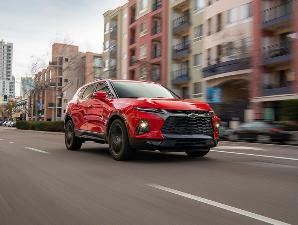 Some downsides do weigh against the Kicks, but keep reading to see if this efficient and affordable subcompact crossover is for you. While there’s a lot to like about the 2019 Nissan Kicks, its low price makes it all the more impressive. Starting at $18,540, it costs less than nearly every other subcompact crossover, even equipped with more standard equipment than most. The $20,250 SV adds a blind-spot monitoring system with a rear cross-traffic alert, Android Auto and Apple CarPlay smartphone integration, automatic climate control, alloy wheels, keyless entry, a remote-start system, and body-color exterior door handles and side mirrors. The top of the line, sport-themed SR ($20,870), brings a host of cosmetic add-ons and some upgraded cabin trim, along with a surround-view parking camera. 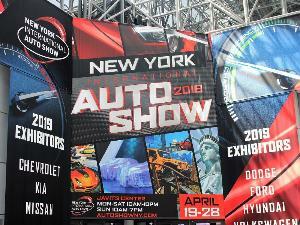 Prices are up a few hundred dollars since the Kicks debuted as a 2018 model, but they remain thousands less than most competitors. However, all-wheel drive and some luxury features aren’t offered even as options. Don't assume that the Kicks is a sad, drab budget car that you buy because it’s cheap. While it isn’t a luxury car, it’s clear that Nissan designed it with care and attention to detail. The exterior is chunky and cheerful, with muscular design elements that belie this little crossover’s petite dimensions without being overdone. The tested SV model's Monarch Orange paint dresses the body up nicely, too. It’s a similar story inside. The Kicks’ dashboard and door panels are mostly hard plastic, but the door armrests are padded where you'd rest your elbow. A large section of the dash is nicely textured and features a graceful curved design that Nissan calls “gliding wing.” Controls are extra-simple, and the touchscreen’s graphics are decently bright. The Kicks also includes a reconfigurable digital display as half its gauge cluster, a rarity at this price point. The Kicks’ substance is even more impressive than its style. Nissan packed a ton of space into its smallest crossover. Granted, this is a subcompact car, so don’t expect miracles. Even so, the Kicks can seat four adults in respectable comfort — outclassing several pricier competitors. There isn’t a towering seating position, but the seats are high enough that it’s easy to get in and out, and outward visibility is above-average. Cargo volume also impresses. The Kicks has 25 cubic feet of luggage space behind the rear seat, which folds down to open up a generous 53 cubic feet. Both figures are among the best in the subcompact crossover class. You likely will need to move the front seats forward or remove the rear head restraints to fully fold the rear seat, though, and it doesn’t lie flush with the cargo floor like in some competitors. Another niggle: The front cupholders are on the small side. Even though it provides generous interior room for both passengers and cargo, the Kicks has the highest EPA fuel economy ratings for any crossover equipped only with a gasoline engine. And at 31 mpg in the city, 36 mpg on the highway, and 33 mpg overall, it even beats most gas-electric hybrid crossovers, too. The tested Kicks lived up to the EPA's estimates, averaging about 35 mpg in a week of mixed driving. Part of the secret is simple enough: The 2019 Kicks also has the least powerful engine of any crossover sold in the U.S. It’s a 1.6-liter four-cylinder with just 122 hp and 114 lb-ft of torque, even less than the 125 hp and 115 lb-ft Nissan quoted for last year's model. The good news is that the Kicks also is America's lightest crossover, weighing less than 2,700 pounds, which means the engine doesn’t need to work as hard as you’d think. The Kicks feels downright sprightly around town and even is decently quiet there. You might wish for a few more horses when accelerating at higher speeds or up a steep hill, but given the tremendous fuel economy, it’s hard to complain. The Kicks is a terrific city car, with agile handling, a tight 34-foot turning radius, a suspension that absorbs potholed streets with ease, and peppy low-speed acceleration. It’s fun to drive on winding roads, too, with firm, responsive steering. It never feels like a bulky SUV, and plenty of small crossovers wish they could take curves so nicely. Don’t expect all-out sportiness like you’d find in the Mazda CX-3, but the Kicks definitely is zestier than you might expect. However, the Kicks can start to fidget on an open freeway. The ride becomes less smooth, delivering choppy movements even on pristine pavement. And you feel the Kicks’ light weight and small engine, resulting in a less buttoned-down feel and extra cabin noise compared to some subcompact crossovers. The Kicks has no problem keeping up with traffic that's flowing at 70 mph or more, but it's happier around town. It might not be our first pick in a mountainous area, either. While most crossovers spend their lives traversing dry pavement, most models make accommodations for drivers who intend to plow through snow, mud, or other SUV-style obstacles. The 2019 Nissan Kicks has a class-competitive 7 inches of ground clearance, but otherwise this isn't a crossover that even pretends to be built for off-roading. 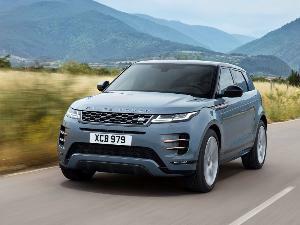 The biggest clue is that the Kicks doesn’t offer all-wheel drive; every trim is offered only with front-wheel drive. That’s not going to be a problem for everyone, but it will be a disappointing deal-breaker for others. For an all-wheel drive Nissan subcompact crossover, step up to the slightly larger and more expensive Rogue Sport. The 2019 Nissan Kicks comes standard with a useful piece of high-tech crash-avoidance technology: a forward collision warning with automatic emergency braking. Such a system is hard to find on many competitors, and Nissan includes it for free on every Kicks (and most of its other vehicles). There’s also blind-spot monitoring with a rear cross-traffic alert on all but the base S model. What’s more, if you’re worried that a small and affordable crossover like the Kicks won’t hold up in a collision, the Insurance Institute for Highway Safety would disagree. It subjected the Kicks to a variety of crash tests, and it earned the top score in nearly all of them (and the second-highest rating in the other). That’s good enough for an IIHS Top Safety Pick designation. The National Highway Traffic Safety Administration hasn’t tested the Kicks as of this writing, but we’re optimistic it would score well there, too. The 2019 Nissan Kicks can be cross-shopped against any other affordable, fuel-efficient small vehicle — be it a sedan or crossover. The 2019 Kia Soul is its closest rival: It’s another subcompact crossover with a low price, a spacious interior, and no all-wheel drive. The Soul feels fancier than the Kicks while costing even less, though the Nissan achieves superior fuel economy and has more standard safety features. (A redesigned 2020 Soul arrives this spring, bringing fresh looks but a similar set of pros and cons.) Meanwhile, the Hyundai Kona is fun to drive and solidly built, but the Kicks is less expensive and more efficient. And Nissan’s own Rogue Sport trades some gas mileage and affordability for extra refinement and roominess. The Kicks also is inexpensive and efficient enough to be worth considering alongside a budget-friendly compact sedan like the Kia Forte, Toyota Corolla, or Nissan's own Sentra. Like the Kicks, these sedans favor efficiency over acceleration, but the Kicks offers more cargo space for the money. The Kicks is a super-affordable crossover that avoids giving you the impression that Nissan had to cut corners to keep costs down. Rather, the Kicks takes the historical “cheap and cheerful” idea of an honest, basic small car, and applies it to a more useful crossover. 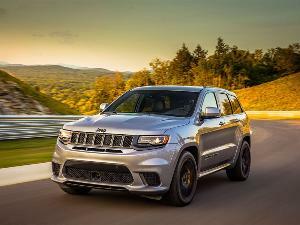 It’s definitely not a luxury vehicle, and buyers who expect otherwise would be disappointed. Instead, the Kicks feels like a carefully executed budget car. It will first wow bargain hunters with its exceptional prices, then pleasantly surprise them with its spacious interior, carefully textured dashboard trim, generous safety equipment, and agreeable driving experience. While you may decide it’s worth spending more for something bigger, fancier, or more powerful, don’t overlook the 2019 Nissan Kicks if you’re interested in any affordable small car. It’s a heck of a deal.